Got questions about your Kindle Fire? I’ve got answers! 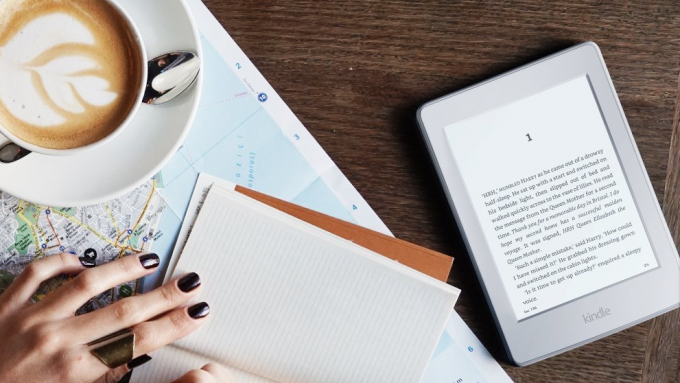 Since Kindle doesn’t come with much in the way of instructions, almost none really, and there’s no physical manual (at least not from Amazon), it’s no wonder Kindle owners have all these common questions. I’ve had them too! Here’s the list of questions most “frequently” asked… plus the answers. How can I update the apps on my Fire? You can have the apps update automatically when an update is available (I do), or you can do it manually. To read about how to update your apps manually, click here. How can I change the default dictionary on my Kindle or Fire? You can set the default dictionary into just about any language out there. To read about how to change it, click here. How do I setup collections on my Kindle? This one comes across just about every other day. Click here to read about it. How can I contact Amazon’s Kindle customer service? Amazon’s Kindle customer service, on the times I have had to contact them (yes, sometimes I have to) have provided outstanding customer service. That’s unusual. Click here to read about how to contact them. What is this Kindle Unlimited thing you have a “Yes” or “No” line on each post? Kindle Unlimited is a service where you pay a monthly fee to Amazon in order to read just about as many books you want for free (“free” being a relative term in light of you pay a monthly amount to do it). Being a voracious reader myself, I am a member of Kindle Unlimited and read lots of books for one flat price each month. You can click here to learn more about it. If I have enough time, I will try to make actual articles/tutorials for these and other questions related to Kindle.